When it comes to money, almost all countries use a fiat currency, which means that their currency is only supported by the creditworthiness of the government and isn’t backed up by any reserves of gold or other precious metals. Considering how reckless western governments are these days, this arrangement is making a lot of people uncomfortable, especially investors that have a portfolio that relies heavily on stocks, bonds, real estate and other assets tied to paper money. It wasn’t always this way. For most of history, countries followed the gold standard which meant that every new bill they issued had to be backed up by a certain amount of gold. The United States only left the gold standard in the 70s. After years of irresponsible government spending and record debt, there’s growing interest in returning to this old system. There are three clear trends that make it seem like gold could become the next global currency very soon. It’s hard to feel good about any major currency. While the US dollar is currently the World’s reserve currency, if the government keeps going on the same track, we’re going to lose this position. Right now, the United States has over $18.4 trillion in debt. To put that in perspective, America’s GDP was $16.77 trillion in 2013 so we owe more in debt than the entire country produces in one year. At the same time, the Federal Reserve keeps running programs that devalue the dollar. The Fed pumped trillions of dollars of new money into the economy with its QE program. Printing all this money causes inflation and destroys the value of the dollar and dollar-backed investments like stocks and bonds. When you look around the World, things look even worse. The European Union is a mess which is taking a toll on the Euro. The value of the Euro has plummeted as investors fear that Greece will leave the union, crushing the European economy and sending interest rates through the roof. The Russian ruble has also collapsed along with the price of oil. This creates all kinds of uncertainty in the World economy because investors and businesses can’t predict the long-term value of currencies. As a result, the whole concept of fiat currency is falling apart because people no longer have faith in their governments or their currencies. Governments around the World are actively stocking up on gold. China, India, and Russia in particular are all making large additions to their gold reserves. For example, Russia increased its gold holdings from 37.6 million ounces to 38.2 million ounces even as its currency is collapsing. Some analysts thought that Russia would sell its gold for dollars in order to balance out its currency but the Russian government seems committed to maintaining and growing its reserves; it values gold that much. Foreign countries and their central banks are stocking up on gold rather than just storing dollars for their reserves. This shows that their also worried about the state of the dollar as the global currency and don’t see any other currency as a strong alternative. It’s also possible that some countries are considering moving back to a gold standard to build more confidence in their currencies. This idea is definitely being floated around in Russia as their government tries to battle a weak economy and a collapsing currency and could be why they’re adding to their gold reserves. Switching to a gold standard would support a falling ruble. Governments aren’t the only ones looking to gold as an alternative currency. Investors, companies, and consumers in general are also interested. Over the past few years, investment clearing houses have begun accepting gold as collateral. Clearing houses work as an intermediary between two parties who have agreed to a trade in the future. The clearing house stores collateral until the deal goes through. Before the financial crisis, clearinghouses didn’t accept gold and primarily used cash and government bonds. After the financial crisis caused the value of bonds and many currencies to collapse, clearinghouses had to rethink their strategies. Now, many accept and encourage the use of gold as collateral. Small investors and regular people are also looking for an alternative to regular currencies. 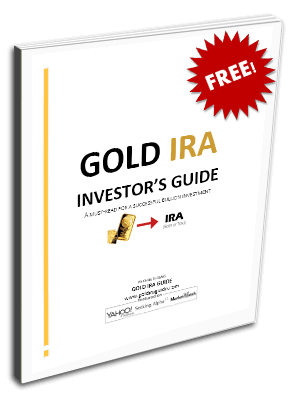 Gold has become much more popular as an alternative investment because of ability to store value when the economy is bad. Gold is also immune to inflation because as a commodity, its value isn’t backed by any one currency. As a result, the price of gold hasn’t been hurt by the currency swings around the World. This demand for an alternative currency can also explain the recent boom in cryptocurrencies like Bitcoin. Regular people are losing faith in their countries’ abilities to properly manage a currency so they’re looking for other options. All these trends mean that demand for gold will keep growing, especially if a major economy like Russia switches back to the gold standard. Since there is a limited supply of gold left, this extra demand will push prices up even further. A few years ago, the idea that countries would move back to using gold as a global currency would’ve been unthinkable. Of course, a lot of the problems we’re facing right now were also unthinkable. If governments can’t get a handle on their spending and economies soon, the World might have no choice but to switch back to gold. These 3 trends make it seem like this day is closer than most people think.